The latest cast-off sounds off on the tribe swap that ended his game. "Drop your buffs" isn't a phrase that host Jeff Probst uses lightly, but it's something we've heard twice on Survivor: Ghost Island. They are words that can change the game, sometimes destroying alliances and relationships that the players have worked so hard to forge. But in some cases, a tribe swap can be a saving grace. For James Lim, unfortunately, it was the beginning of the end. We caught up with the latest cast-off to talk about his struggles in an early challenge, his connection with Angela, and what he took away from the life-changing experience. If that tribe swap hadn't happened, how do you think this week would have gone differently for you? James Lim: Oh man, there's no question we would have cruised to the merge. In that point in time on Naviti, Laurel, Libby, Donathan, and I had the majority and all we would've had to choose is whether we wanted to side with Chris or Domenick. I really had a feeling on Day 14. All of us sort of predicted the swap, but we really hoped it wouldn't happen. There ended up being one, and furthermore, it ended up being the single worst scenario for me. Let's jump back to earlier in the season during the underwater challenge that you struggled with. 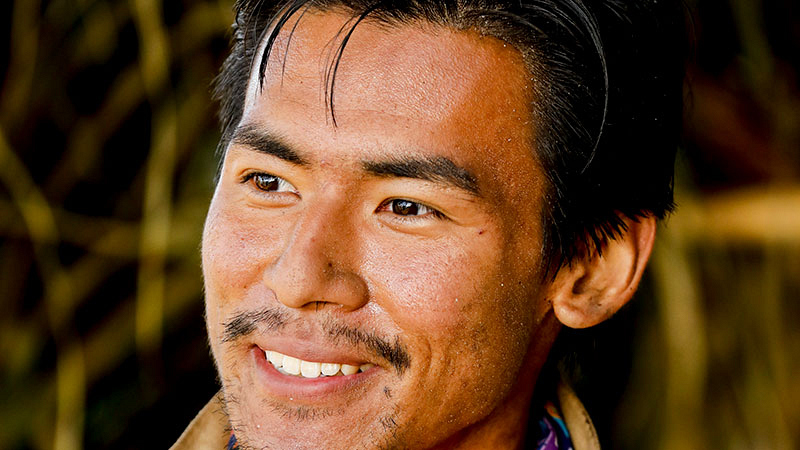 Can you talk a little bit about what went wrong during that challenge and how it impacted your relationship with the tribe at that time? James: That was probably my lowest moment of my 17 days on Survivor. The truth is, in real life, I became pretty damn good at freestyle sprinting and diving down to about 12 or 13 feet at the Columbia varsity pool before flying out, knowing that diving and swimming were going to be an integral part of the challenges. As soon as I jumped in the water [during the challenge], I was so amped up from the adrenaline that I was having trouble taking deep breaths and staying calm. And also, the ocean currents were really strong. Nothing like the pool that I practiced in. So all of those factors came together and I ended up basically choking under the pressure. That's what happened. So that sucked. My reaction was a real thing. As a former athlete and captain of a team, I was taught to own up to those mistakes and I did. I basically said, "I want to be given a second chance and I want to move forward with you guys." It was good to be given that chance. I had predicted on my own that I'd probably be getting two votes, just in case Jacob had a real idol, but I was 99 percent sure that he didn't. So that was a gratifying moment for me because I was given this additional life from my fellow tribemates and I think it was a part of the reason that I really dug into the whole "Malolo forever" narrative. After last night's Immunity Challenge the new Malolo lost, Desiree mentioned that nobody really had a connection with you. Do you feel that was true? James: I'm proud to say that's false. You can ask Kellyn; I spent only three days with her but we shared enough personal moments and connected as people out there. And it's a bummer [to hear] because Angela and I had built a quality connection ever since the Morgan vote, and I would say I'm probably one of the few people that she really opened up to in terms of her service in the military, her family, and her divorce, and all that. And I got to share my life story with her as well. That's part of the reason why I thought I had a reasonable shot at flipping Angela. So I would deny that, with all due respect. At the end of the day, looking back, I got to build these connections with people I would have never met otherwise. It's one of the greatest gifts that I've received from the whole experience so far. Is that connection with Angela a friendship you've carried on outside of the game? James: Yeah! She's in Ohio and I'm [in New York], so it's hard to really link up in person, but we stay in touch on social media and through text and stuff. It's been great to keep up with the unique bond that we formed out there. We had a conversation where I brought up the fact that my grandparents survived the Korean War. The U.S. Army came to the village they were hiding in and helped save them, you know? That has given me a fundamental respect for every single veteran, and I shared that story with her, knowing she values loyalty and I value loyalty as well. [I said that] if she helped me navigate through to the merge, I would repay that debt in whatever way I could. And I thought she bought it, but turns out she didn't. But I really feel like it was a real thing out there and it still is here in the real world. Why do you feel your new tribe ultimately decided to write your name down instead of Desiree's? It seems like it was a toss up between the both of you. James: There were very different reasons why each of us were on the bottom. But Desiree blew up in the challenge, and her freak out at the puzzle piece was worse than what was shown. She ended up screaming at Kellyn, threw in a little bit of profanity in the tirade, and Kellyn started crying during the challenge. I thought because it was so bad I really had a shot at targeting Desiree. For me, I was basically the easy sheep to pick off. I was the person that didn't have a strong enough bond with Desiree and Kellyn because I'd never met them until Day 15. So which ever way you cut it, I was at the bottom. In the end, I think Kellyn just chose to stay Naviti strong and continue on with her trend of booting quality Malolos. Brendan, then Stephanie, then myself. In your final thoughts in the episode, you mentioned that you were going back to the real world with a new perspective. Can you talk a little more about that and what you meant? James: I'll try to sum it up briefly, but I meant that as a person, I survived Survivor. I think those 17 days taught me what exactly was beyond the limits I thought I had. So coming back here, I felt if I could do that, nothing in the real world is going to be as tough or challenging as Survivor. And I think it just made us all realize just how much our loved ones, our family and friends, really meant to us. We missed them so much, sitting around on the beach. I dreamed of them every night, we all did. Also, just the pride of being a Survivor castaway now. I said I was humbled and grateful, and I really am. Being a part of the community, as a player, it really means the world to me that there were people watching me on screen and relating to me or respecting what I brought to the game. That feels like my best attempt at putting it into words, but it really is something profound and invaluable. Is there anything you would do differently if you could do it all over again? James: Oh, so many things. I think the biggest thing would be to actually throw some challenges on Naviti to really capitalize on the momentum we got from the Morgan boot. And, you know, this was a season of past Idols coming back, and I had an idea on Day 17. 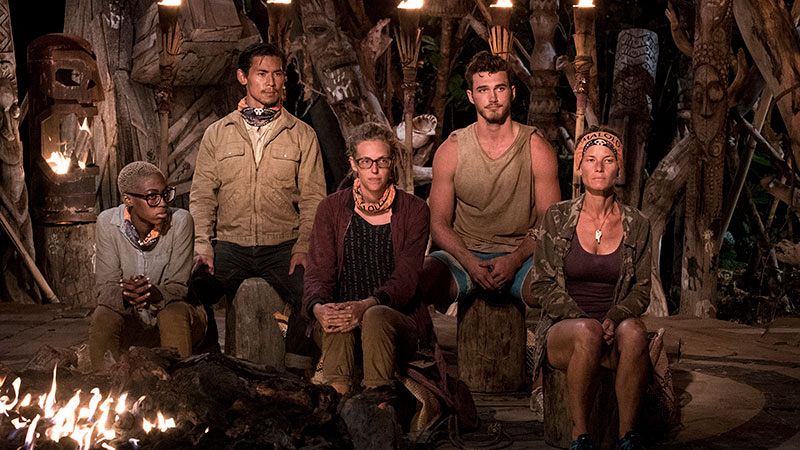 So, the worst fake Idol in history is Eliza's funky stick [from Survivor: Micronesia], so what if I grabbed a stick, carved a face on it, and used that to create a show at Tribal Council? I didn't execute on that because I thought I had flipped Angela. But that would've been a showstopper at Tribal. Just bringing back possibly the single most famous fake Idol in Survivor history. I'm disappointed I didn't get to execute on that idea. But we all have those regrets looking back. Watch all-new episodes of Survivor: Ghost Island on Wednesdays at 8/7c on CBS and CBS All Access.